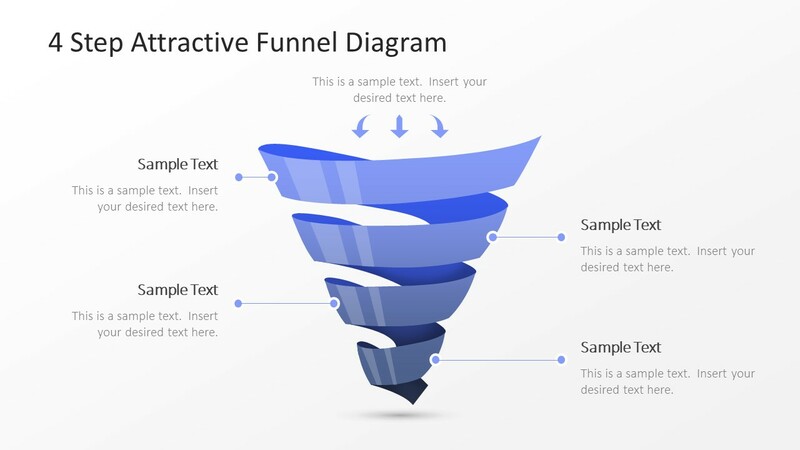 The 4 Step Attractive Funnel Diagram is a beautiful round ribbon style for four level presentation. 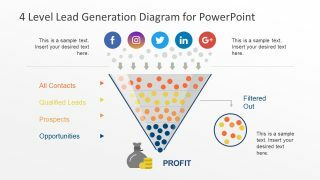 The PowerPoint is helpful for analyze sales revenue, lead generation and surveys. 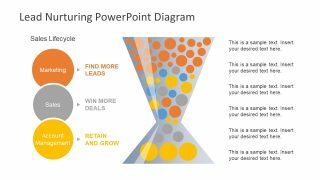 The sales and marketing professionals can use this template to make the amazing customer funnel presentations. The funnel is a customer analysis model to illustrate a buying process journey with the graphical visual. It is a four-step process which lead up to the conversion. Also, demonstrate the theoretical customer journey of product and services. The template can help managers to create a lead management campaign and basis of CRM. This PowerPoint is an amazing design for various business aspects like strategic and marketing plans. 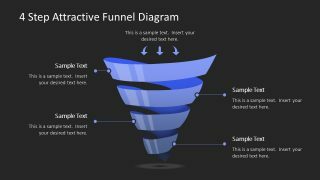 The 4 Step Attractive Funnel Diagram has 2 slides of white and black background version template. It has four stages for an incredible ribbon design. Further, there are four connecting nodes of placeholders to represent the sub processes of model or concept. This assists users to add title and brief key points of the sections. 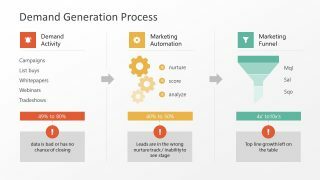 There are three arrow icons on the top of funnel with illustrate the data going into the pipeline for different purposes. 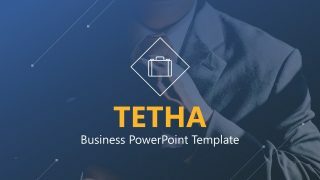 This PowerPoint is usable in other presentation by copying the slide template. Use this design to compare specifications, pros and cons of product details and more. Moreover, the executive audience can understand the data using funnel diagram graphics and make an informed decision. 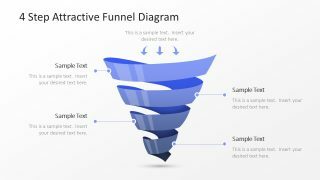 The attractive sales funnel diagram PowerPoint of 4 steps is a fully customize template. The users can modify the number of designing properties of the template. For example, change the background color or add picture and texture. Similarly, edit the ribbon shape funnel diagram color from gradient to four distinct colors in shape fill drawing format. Additionally, the style and size of fonts are customizable with my options to make the presentation stand out. This inspiring PowerPoint aids in personalizing the slides to suit corporate and organizational presentations.